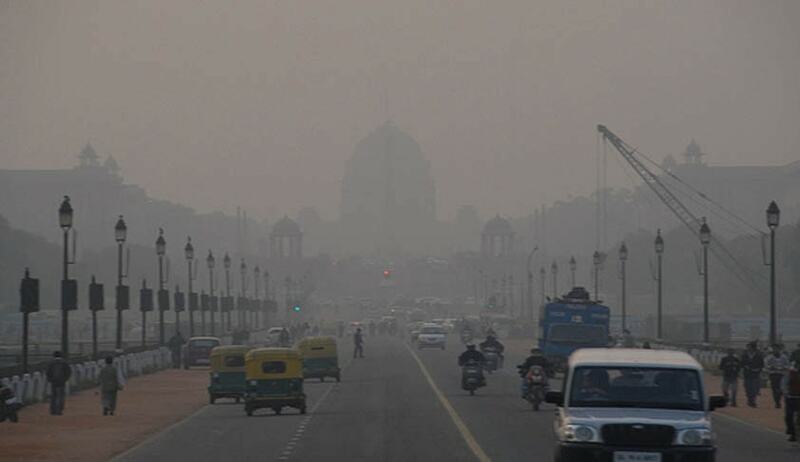 The Supreme Court today directed the Central Pollution Control Board to file a detailed affidavit on the pollution situation in the national capital and NCR carrying a detailed comparative study of pre and post Diwali period. Orally Central Pollution Control Board told a bench headed by Supreme Court today directed the Central Pollution Control Board that bursting of firecrackers during Diwali in Delhi did not cause major health hazard for people but pollution level went up. “On Diwali day both PM 10 and PM 2.5 increased 2-3.5 fold in Delhi in comparison to pre-Diwali pollution level. SO2 &NO2 remained almost within prescribed limit:CPCB”, it told the bench. The judges however asked the CPCB to file a detailed affidavit in this regard. The bench had on December 15 issued notice to the Centre and all states on plea seeking a complete ban on fireworks across the country and a slew of other measures to curb pollution and sought response within four weeks. Chief petitioners- Four kids led by Arjun gopal through their lawyer Gopal Sankaranarayanan had questioned how huge quantities of firecrackers were burst in Delhi and NCR even after the ban on sale imposed by the apex court. They also pointed out the thick smog which enveloped Delhi and NCR due to crop burning in adjacent states. “After this Hon’ble Court’s order dated 9.10.2017 which suspended fireworks licenses forthwith, there was optimism that the parties would observe the outcome of a fireworks-free Diwali and measure the change in pollution levels. The documentation that follows would show the true picture. They are catalogued under the following heads: Comparatively marginal gains in air quality in 2017 as compared to data of 2016. However the levels were nearly 10 times the safe limit because firecrackers were burst in large quantities.”, the petition said. “Complete ban on the use, manufacture, licensing, sale, resale or distribution of firecrackers, sparkles of any kind throughout India”, said the main prayer. It also wanted a direction to the Central Government to not impose any import duty on electric and hybrid vehicles or in the alternative substantially reduce the import duty on hybrid and electric vehicles. It also wanted stoppage of the manufacture of all new diesel vehicles until the introduction of BS-VI standard fuels, after which only BS-VI compliant diesel vehicles may be manufactured. It also said “Direct that all existing diesel vehicles renew their registration on an annual basis after adhering to strict pollution norms notwithstanding them having been granted lifetime registrations at the time of purchase”. Significantly the bench headed by Justice A K Sikri lso made States of Punjab, Haryana, Indian meteorological department and Ministry of rural development parties in the plea which also sought a permanent ban on burning of crop.